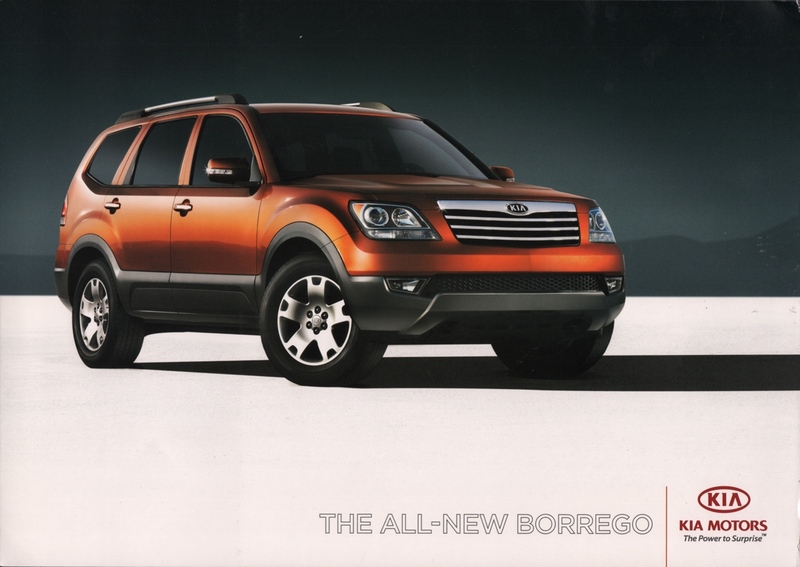 Sales brochure for the "All-New" 2009 Kia Borrego SUV with a V6 or optional V8. Brochures are presented for research use only. Company marks, emblems, and designs are trademarks and/or service marks of Kia.